In our October blog we looked at why hiring a VA is a great idea, We hope that we did indeed manage to convince you and then comes the next step in the journey; Finding the right one. Finding and Hiring the right Virtual Assistant (VA) for your business can be challenging and a job that should not be taken lightly.It’s important that whichever person or company you choose is right for not only your company but it’s employees and YOU. So, before you start the journey, Here at Starfish, we’ve put together a list of some great things that we have learnt over the years, this advice will hopefully stand you in good stead so that your choice of VA is the right one. Be clear about exactly what you require from the VA and how you will measure their performance. Document your daily activities for a few weeks – including personal tasks. After a while, you will have a comprehensive list of all the activities you do each day. Start grouping them into common tasks such as ‘email management’ or ‘proposal writing’. Write a position description (PD) for the VA role. Ensure you use the same level of rigor and discipline you would use if you were recruiting for a permanent role. Advertise the position. Promote the role across your social media profiles including LinkedIn, Twitter, and Facebook. A referred candidate can offer many advantages over an unknown applicant. Sort the candidates using the criteria described in the position description. Consider their actual job-related experience. A VA position can look like an easy life where you can work from home and work your own hours. It’s not! Look for the people who have achieved real life business results. Once you have shortlisted your candidates, conduct interviews (face to face or on Skype) and critically analyse their specific skills and experience against the PD. Naturally, there must be a brand and cultural fit, not to mention the constructive chemistry that exists in a good working relationship. However, their experiences in dealing with specific issues are more important than a bubbly, friendly personality. 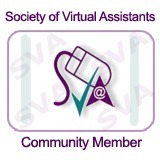 VAs have different strengths and weaknesses. Some are fantastic at monitoring social media but may not be great researchers. Some have exceptional formatting and editing skills but may not be suited to speaking to customers on your behalf. Work out the strengths of your VAs and task them with work that plays to their strengths. You will get higher quality work, completed in a shorter timeframe – and they will love working for you! Do they prefer to be available in the mornings, afternoon or evenings? Communicate by voice as often as possible. Email is great for certain types of communication, but not the most effective tool for collaboration. Use Skype for a daily catch-up or at least once a week. Give specific feedback as often as possible, particularly in the initial stages. This will give them a greater understanding of your expectations. If it is not working out, move on quickly. Remember to thank them and congratulate them on their great work. It can be a lonely life being a VA, especially when working from home with no colleagues to bounce ideas or have a casual conversation with. If you would like to chat through how we at Starfish Admin Services can help you save time, money and regain control then Call me on +44 (0) 7514 780 025 or book your call here.